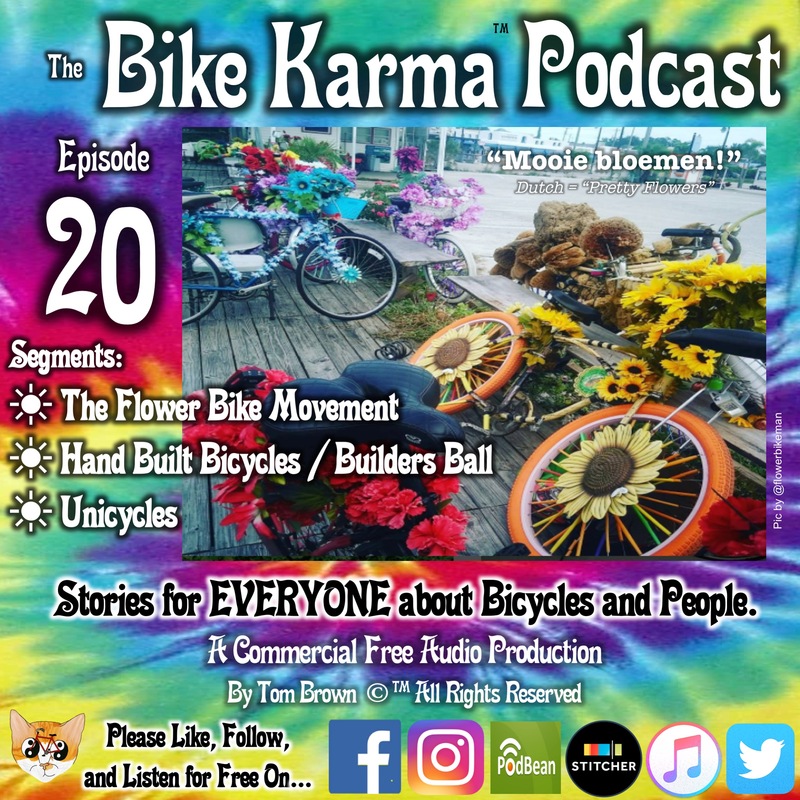 1- Flower Bike Man - What up with Flower Bikes? 2- Hand Built Bicycles- The Builders Ball in Boston Mass SEPT 23. Hear the story then GO THERE! 3- Are Unicycles Half the Fun? What's harder a Wheelie or Riding A Unicycle?